Experience The Etowah River–North Georgia’s Best Family Paddling! Cutting a path across North Georgia, the 163-mile long Etowah River Water Trail provides a course through one of the state’s most historically significant and one of the nation’s most biologically diverse rivers. 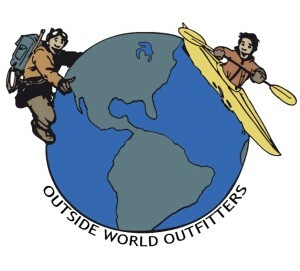 This website contains an interactive map of the entire trail as well as printable maps and guides that you can take on the river. Use these resources and other information on this website to explore the Etowah. 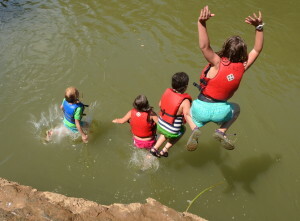 The Etowah River Water Trail Rodeo is now set for Sept. 22 on a 6-mile section of the river through Bartow County, ending at Bartow County’s Neel’s Landing. 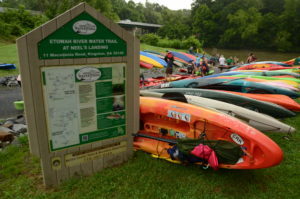 Join dozens of other paddlers for this annual event to raise money to develop and promote the Etowah River Water Trail. 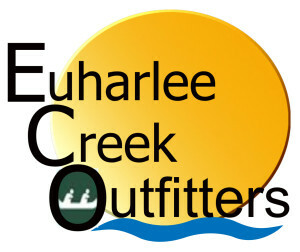 The event includes a short paddle on the river with complimentary boat rentals, shuttle service, dinner and drinks. Registration will open soon! Two New Boat Launches Completed Summer 2017! Recently, Forsyth County and Bartow County completed new public access points along the Etowah River opening up new opportunities for short paddle trips. Forsyth County’s Eagle’s Beak Park creates a 7-mile trip from Kelly Bridge to the park and a 9-mile trip from the park to a Georgia Department of Natural Resources site in McGraw Ford Wildlife Management Area in Cherokee County. 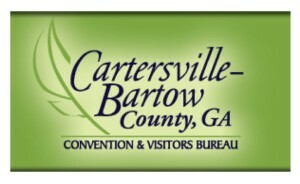 Bartow County’s Old Hardin Bridge Road site creates a 4-mile run from Euharlee Road to Old Hardin Bridge and a 6-mile run downstream to Neel’s Landing at U.S. 411. 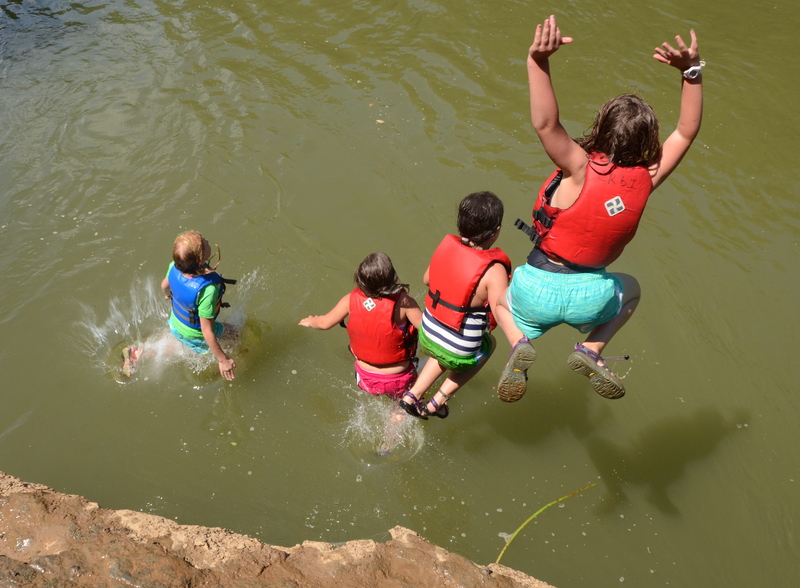 What’s Happening On the Etowah River Water Trail? Also in 2017, the Etowah River Water Trail Stakeholders Group installed informational kiosks at Ga. 9 and Kelly Bridge near Dawsonville and and the new sites developed by Bartow and Forsyth counties. 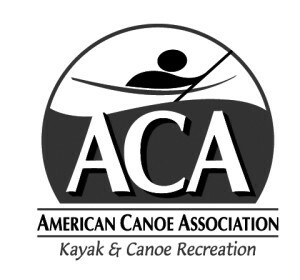 Please see our calendar of events to find a paddle trip to attend in 2017! What Can I See on the Etowah River Water Trail? 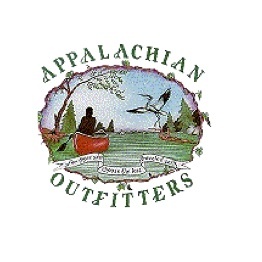 This website provides an online gateway to adventures on the Etowah. With the exception of the upper reaches of the river (Hightower and Etowah Falls sections), the river is rated as a Class I river with faltwater interupted occasionally by small shoals and rapids and is suitable for novice paddlers. Scenery along the river ranges from wild (Headwaters, Dawson Forest and other sections) as it winds through national forests and state wildlife management areas to rural (Big Savannah, Reynolds Bend and other sections) and even urban (Rome). The river is home to more Native American fish weirs than are found on all other Georgia rivers combined and historic sites, including the Etowah Indian Mounds State Historic Site, dot its banks from Dawsonville to Rome. The river is also considered one of the most biologically diverse rivers of its size in the country, harboring 76 native fish species. The river passes through three state wildlife management areas (Dawson Forest, McGraw Ford and Allatoona), the Chattahoochee National Forest and numerous local parks. Who is Building the Etowah River Water Trail? Feeling Lost? There's a Map for that! CLICK HERE to explore the entire 163 miles of the Etowah via an interactive map. Find launch sites, take outs, rapids, dams and points of interest and plan your next adventure. 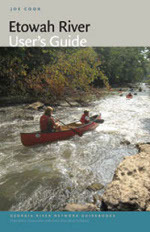 This 163-page comprehensive guide to the entire length of the Etowah River features 159 color photos, 17 color maps of the river with detailed information about river access points, cultural and natural history, river obstacles and more...all printed on waterproof paper making it a true on-river guide. Copies signed by the author may be purchased here. 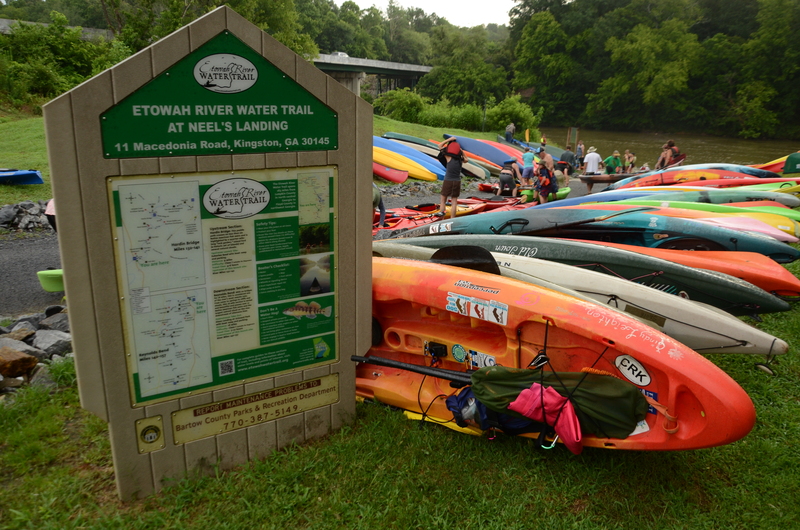 A project of the Coosa River Basin Initiative, in cooperation with other non-profit organizations, private landowners and local governments, the Etowah River Water Trail promotes stewardship and recreational use of the 163-mile long Etowah River. Donate Now!